Family member or informal caregiver providing care to an individual 60 years of age or older. Family member or informal caregiver providing care to an individual of any age with Alzheimer’s disease and related disorders. Grandparents and other relatives (not birth or adoptive parents) 55 years of age and older providing care to children under the age of 18. Grandparents and other relatives (not birth or adoptive parents) 55 years of age and older providing care to an adult age 18-59 with a disability. In addition to the eligibility requirements, the caregiver of an older individual receiving Respite or Supplemental services must be taking care of a care recipient who meets the definition of “frail”. Frail means that the older individual is determined to be functionally impaired because the individual: (A) is unable to perform at least two activities of daily living without substantial human assistance (verbal reminding, physical cueing, or supervision) or (B) due to a cognitive or other mental impairment, requires substantial supervision because the individual behaves in a manner that poses a serious health or safety hazard to the individual or to another individual. Individual counseling, organization of support groups, training and education. This program gives primary focus to the caregiver, not the care recipient. Other programs that could be of help to caregivers are Project C.A.R.E. (Caregiver Alternatives to Running on Empty) and Lifespan Respite. Project Care assists caregivers of people living with dementia by providing a Family Consultant to help relieve caregiving issues. 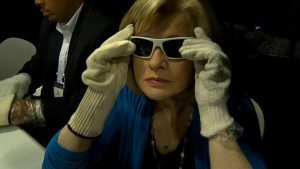 This service is provided by the Duke Family Support Program. For more information about the Duke Family Support Program, contact (919) 660-7510 or DukeFamilySupport@duke.edu. Lifespan Respite is an application-based program that reimburses eligible family caregivers caring for individuals of any age in respite care services in a calendar year. Funding is limited. Applicants must be referred to the program by a local professional organization.The Kerr-Tar Area Agency on Aging will complete the online application on behalf of the family caregiver. Caregivers will receive information about services and programs available to help them keep the person they care for at home. Limited financial assistance is available for caregiver respite, which allows caregivers to take a short break from their caregiving responsibilities. Support groups, workshops and training programs are available to help caregivers take better care of themselves and the person they are caring for. Please view below. There are caregiver support groups in each county in the region. Come join us at any of them that fit your schedule! Research has shown that Powerful Tools for Caregivers increases caregiver confidence and builds skills to help them thrive as individuals. Six-week classes for caregivers are conducted by trained PT4C Class Leaders. Contact Harvey Holmes for more information. What would it be like to have no memory? To have your sight impaired or be unable to walk? What would it be like to have dementia? The Virtual Dementia Tour®, created by Second Wind Dreams, is an individualized experience through simulated dementia created for families, organizations, and companies seeking to better understand the physical and mental challenges of those with dementia. This program was created by P.K. Beville, founder of Second Wind Dreams, to support their wish program, where wishes are grated to senior citizens. For more information visit http://www.secondwind.org/. After experiencing this sensory training, individuals will have a greater understanding of the realities of what living with dementia is like. This unique, interactive program has been shown to improve communication and care. Learning to create a positive environment for those with dementia can only come from attempting to walk in their shoes. Dementia Friends is a global movement that is changing the way people think, act, and talk about dementia. Developed by the Alzheimer’s Society of the United Kingdom, the Dementia Friends initiative is underway in North Carolina and across the United States. You become a Dementia Friend by attending a one-hour informational session to learn about this worldwide movement, about living with dementia, tips for communicating with people who have dementia and the simple things you can do to support someone living with dementia. By helping everyone in a community understand what dementia is and how it affects families, each of us can make a difference for people touched by dementia. You don’t need to be a dementia expert to become a Dementia Friend. After you attend the session, you decide about becoming a Dementia Friend! For more information about Dementia Friends, contact Harvey Holmes at (252) 436-2040 or hholmes@kerrtarcog.org. 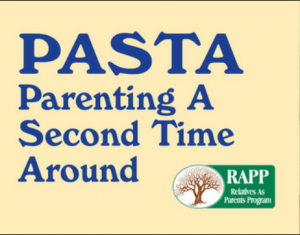 Parenting A Second Time Around (PASTA) is a research-based curriculum that addresses the needs of families in which grandparents or other relatives are raising children. This curriculum offers relatives raising children the opportunity to gain confidence, knowledge and skills on topics, such as parenting, adult/child interaction, child development and legal issues. Whether you have ambivalent feelings from changing roles as grandparents, feel uncomfortable about sensitive issues (explaining to children why their parents were unable to care for them), or afraid to ask about information, this class is for you! A full service caregiver support Web site. Recent recipient of an “Innovations and Achievement Award” from the National Association of Area Agencies on Aging. Fully equipped directories for information on aging programs and services anywhere in the United States. Caregiving information and advice, fact sheets and publications, newsletters, public policy and research. Alzheimers North Carolina is dedicated to providing education, support and services to individuals with dementia, their families, health care professionals and the general public while raising awareness and funding for research of a cause(s), treatment, prevention and cure for Alzheimer’s disease and related dementias. An informative Web site for information about Alzheimer’s Disease and caring for someone with Alzheimer’s. Products and information for those caring for someone with Alzheimer’s disease. Products have been selected to make living with Alzheimer’s disease as easy as possible. Education, peer support, and resources that serves a broad spectrum of family caregivers ranging from the parents of children with special needs, to the families and friends of wounded soldiers; from a young couple dealing with a diagnosis of MS, to adult children caring for parents with Alzheimer’s disease. Your source for help with Alzheimer’s, memory disorders and elder care decisions. The Duke Family Support Program serves families and professionals concerned about or caring for persons with memory disorders in North Carolina, and Duke employees seeking help with elder care decisions. Next Step in Care has five categories of information for you to choose from: The hospital, discharge planning, rehabilitation and subacute care, care at home, and outpatient care. Each category has guides specially chosen for that setting or issue. There are 28 family caregiver guides, checklists, and forms. In addition, there are videos, common terms and definitions, and a section of links and resources.